Patsy has been working with the organizational side of Dental Front office duties since 1990. 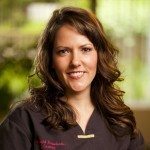 She is well versed at insurance and billing and enjoys helping patients navigate through complicated insurance processes and achieve an uncomplicated, relaxing experience at Portland Periodontics, your expert periodontist in Portland Oregon. Patsy enjoys working with people. She has a B.S. from OSU in Horticulture; and is a year-round gardener, always looking for errant weeds or branches that need a little pruning. Corinne graduated from Portland Community College Schooll of Dental Hygiene. She has been working as the main hygienist in our office for over 10 years. She enjoys working with our patients and helping them with their periodontal needs. Corinne works day in and day out treating patients with periodontal disease and her soft touch and attention to detail allow her to give patients the best possible periodontal care. In her free time, she enjoys camping, dirt bike riding, traveling and spending time with her family. Emily has been in the dental field since 1996. After working as a dental assistant for seven years, she moved to the front office. She assists patients with insurance claims and helps keep the front office running smoothly. 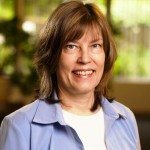 She attended Portland Community College and received her Dental Radiology Certificate from OHSU. She and her husband have a wonderful baby girl and share their household with two mischievous (but cute) dogs. Emily enjoys spending time with her family and friends, playing games, having BBQ’s, riding 4-wheelers, camping and dreaming of Hawaii.